About 75% of the Canadian population lives along the Canada-U.S. border. This is a tease for these Canadians, as the United States gets products that just can’t be found up here and what you CAN find in both countries usually comes in at a much lower price point south of the border. 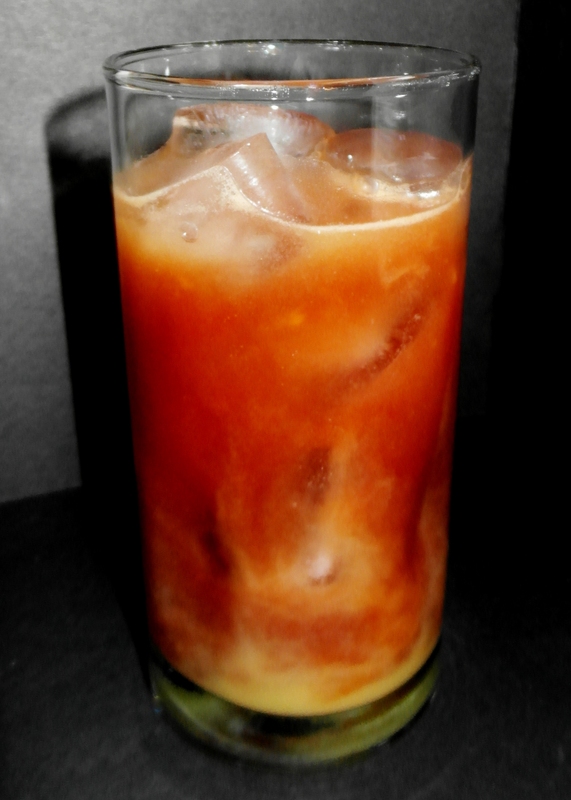 For example, Cherry Dr. Pepper, used in today’s bevvy, has been available in the U.S. for a couple years now. In Canada, it is still advertised as a new product, having just hit store shelves in 2012. Cherry Coke, despite existing for decades has never popped across the border to say hi and same goes for Vanilla Coke (previously available in Canada), Mello Yellow, and unique spin-off flavours of Fanta, Mountain Dew, Snapple, etc. 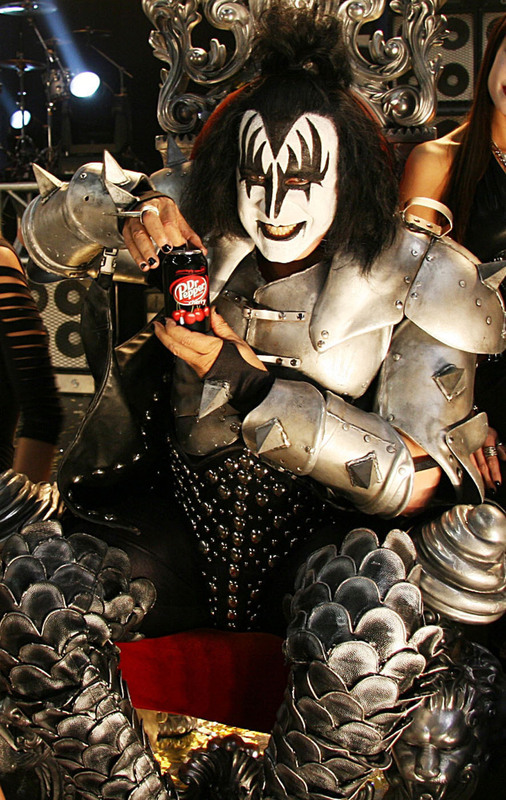 If Gene Simmons is okay with Cherry Dr. Pepper, why did Canada take so long? Pop (or soda as the Yanks prefer to call it) isn’t the only thing us Canadians have to chase down on trips to the States. There are a number of chocolate bars that can’t be picked up at the local Canadian convenient store. Pay Days (a Sip Advisor favourite), Coconut M&Ms, Butterfingers, and Heath Bars, form the bulk of this list. Although we do try to make up for Butterfingers by substituting Crispy Crunch and Heath by having Skor. And apparently, up north, we do have the market cornered on Coffee Crisp, Smarties, and Aero (all Nestle products)… even Kinder Surprise (eff the chocolate, I love getting little toys!). And I’ll never figure out why it’s two Reese Peanut Butter Cups in each American package and three in Canada… but I’m not complaining. Recently I compiled a couple blogs about cereals and their slogans. For example, don’t bother looking for Trix in Canada… although perhaps the Trix Rabbit should take refuge in this country to avoid all the loser kids rubbing it in his face that the breakfast is not meant for him. I’m surprised the poor guy hasn’t gone on a breakfast-stealing rampage through an elementary school. Similarly, Apple Jacks cereal was once sold in Canada, but no longer share store shelf space. Cookie Crisp was apparently banned in Canada, which really pisses me off. 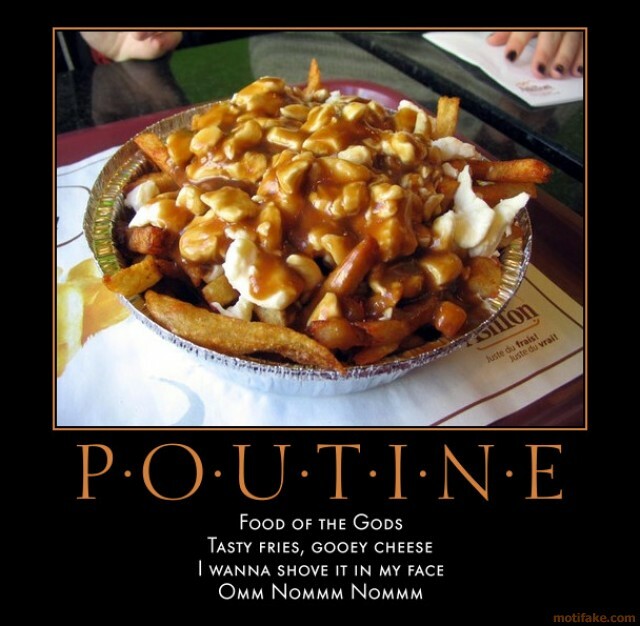 How can a country ban Cookie Crisp, when its most famous culinary dish is the curd- and gravy-heavy poutine? Hulu and other TV and movie streaming services will not work in Canada, where we are told they are not available in our region… despite us sharing the same region as the U.S.
Yowza, we really need Victoria Secret in Canada! Perhaps some of these items will finally be available in Canada with Target stores coming to the Great White North, but if not, I have no issues taking a trip down to the States to load up on Pay Days, Cookie Crisp, Victoria’s Secret lingerie (for Mrs. Sip, of course) and a meal or two at Jack in the Box. At least we have Tim Horton’s, White Spot (in Western Canada), Ketchup Chips, Kraft Dinner, Swiss Chalet, and Hickory Sticks. I don’t really see Americans coming to our fair country for any of these items (although they should, especially for the White Spot Legendary Burger, Mmmmmm). Americans will probably just order most of these items online and have them shipped for free, while us suckers in Canada always have to pay extreme taxes and fees for the same service. To my Canadian brethren, I ask, what do you like to grab on trips to the States? To my friends from the south, is there anything you like in Canada that you can’t get from home? Do you even travel to our little country? Hit me back! I’m a big fan of the Cherry Dr. Pepper pop and it probably saved this cocktail It was neat to see the Orange Juice and Dr. Pepper mix together and luckily we were able to snap some good quick photos of the effect.